Edmund W. Gordon is the John M. Musser Professor of Psychology, Emeritus at Yale University, Richard March Hoe Professor, Emeritus of Psychology and Education, at Teachers College, Columbia University and Director Emeritus of the Institute for Urban and Minority Education (IUME) at Teachers College, Columbia University. He is also the Senior Scholar in Residence at the SUNY Rockland Community College. Professor Gordon’s distinguished career spans professional practice, scholarly life as a minister, clinical and counseling psychologist, research scientist, author, editor, and professor. He has held appointments at several of the nation’s leading universities including Howard, Yeshiva, Columbia, City University of New York, and Yale. Additionally, Dr. Gordon has served as visiting professor at City College of New York and Harvard University. From July 2000 until August, 2001, he was Vice President for Academic Affairs and Interim Dean of Faculty at Teachers College, Columbia University. He has served as the Scholar in Residence at The College Board. From 2011 to 2013 he served as the Chairperson of the Gordon Commission on the Future of Assessment in Education. Dr. Gordon has been recognized as a preeminent member of his discipline and his profession. He is an elected Fellow of several scholarly associations including the American Psychological Association, the Association of Psychological Science, the American Association for Orthopsychiatry, the American Educational Research Association and Fellow and Life Member of the American Association for the Advancement of Science. In 1968 he was elected member of the National Academy of Education. Among his most recent honors is the “Edmund W. Gordon Chair for Policy Evaluation and Research” created by the Educational Testing Service to recognize his lasting contributions to developments in education including Head Start, compensatory education, school desegregation, and supplementary education. In 2005 Columbia University named its campus in Harlem, N. Y., the Edmund W. Gordon Campus of Teachers College, Columbia University. Dr. Gordon has been named one of America’s most prolific and thoughtful scholars. He is the author of more than 200 articles and over 20 books. 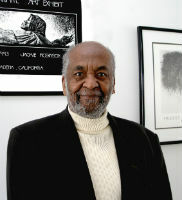 In 2000, Professor Gordon and his wife Dr. Susan G. Gordon, created the CEJJES Institute and its Charles White Gallery of Art, in Pomona, New York. Edmund W. Gordon, Ed. D. has been married to Susan G. Gordon, M.D. since 1948. Together they raised four children, whom they claim as their most important achievements. * The FABBS Foundation would like to thank Drs. Susan Goldman and James W. Pellegrino for nominating Dr. Gordon for this honor and for leading the effort to spread the word about his nomination. Would you like to honor Dr. Gordon? It’s not too late to have your name added to the list of donors! You can make your donation to Dr. Gordon’s In Honor Of… campaign at anytime.